WILL BUYING A PROPERTY IN SINGAPORE BEFORE 55 PROTECT YOUR CPF FUND? Reaching 55 years old in Singapore is an important stage in a person’s life. Certain regulations and policies govern the availability of CPF funds once the beneficiaries are 10 years shy from retirement. In some instances, CPF, or Central Provident Funds, become available when an individual in Singapore nears the age of retirement. Buying a property in Singapore before 55 protects CPF funds in many ways possible. CPF funds beneficiaries need to review the subsequent benefits they’ll get when they purchase properties in the country before their 55th birthdays. Doing so is the first step towards achieving financial prosperity and freedom in the years to come. When Singaporeans buy properties before 55, they’re likely going to grow their CPF funds before these funds even mature. Real estate is one of the most profitable investments in the country. This means that investors have potentials to add up values to their CPF accounts before they turn 55 once they yield revenues from property investments. The revenues earned from real estate investments account for substantial pension or CPF values. Therefore, when investors in Singapore finally reach 55 they would have earned the CPF value amounts they need to cover most of their daily expenses (e.g., food, shelter, clothing, and others). Upon growing CPF values via real estate investments before turning 55, the pension funds yielded would have been enough to sustain beneficiaries 100% for a long time. In other words, CPF beneficiaries are likely not going to need to actively have other sources of income to live by the time they turn 55. 55 year old Singaporeans can sit back and relax, while letting CPF funds shower them all the necessities and other needs in life. No need to be pressured on surviving life on a daily basis. They can wake up and feel good every day without dealing with tantalizing financial troubles, thanks to their growing valuable CPF funds. 55 should be a good year to retire if beneficiaries earn big from Singapore’s property investment niche. As long as investors take time and effort in knowing the ins and outs of property investment markets in the country, they’ll sure have what it takes to achieve their investment goals. Upon earning the target real estate investment revenues, beneficiaries’ pension funds will make good financial sources to support their children and grandchildren. Financing grandchildren’s education will not be impossible for these beneficiaries to do. 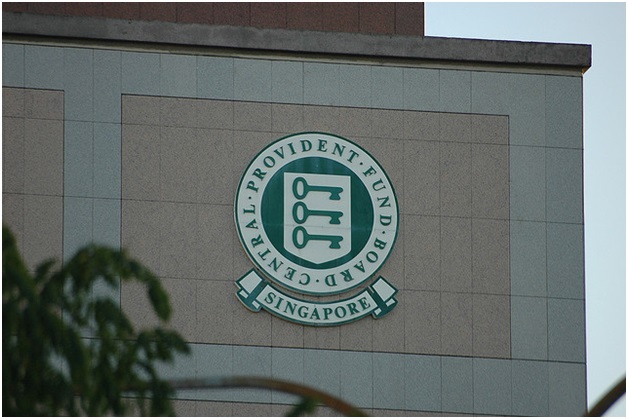 CPF funds will not be available to beneficiaries only. A valuable property investment enables these funds to transcend to the benefits of people close to the heart of the primary beneficiaries themselves. Buying a property in Singapore before 55 offers an unexpected benefit that may have been unknown to many. If investors decide to make lease property investments before they turn 55, their CPF value growths are likely going to be stable. Lease property investments are among the popular ways to acquire stable client bases in the market. Renters mostly lease properties on long-term packages. Therefore, investors can rest assure that they’ll earn the revenues they need within specified periods of time. As people age, their basic needs grow in rates faster than they expect. Medical expenses and accommodations are among the growing needs of the elderly population. Senior citizens need to have extra financial sources to support all of these urgent needs when they do arise. Failure to access these sources can lead to untoward events. Having said these things, the stable growth of CPF funds are what Singapore’s aging population needs. Singaporeans are recommended to exert efforts in their pursuance of successful careers as property investors in one of Asia’s booming countries. They need to be aware of what’s in store behind prosperous property investments before 55. Being aware of the rewarding benefits go a long way in protecting their CPF funds to the fullest extent possible. Beneficiaries should never underestimate pension funds. These benefits are the keys to prolonging the longevity that they need, to enjoy life’s wonders for extended periods of time. Article contributed by: Ideal Property. This website helps Singaporean by providing updates about the latest procedures and legalities for property investment. For more info click here.